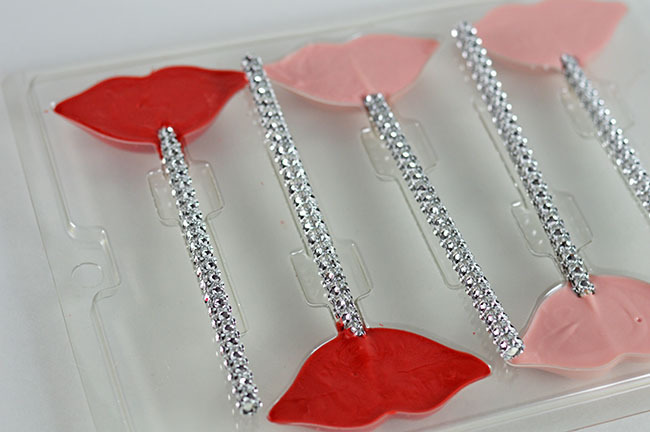 Valentine’s Day will soon be upon us which means right now is the perfect time to get some adorable valentine ideas ready to go. 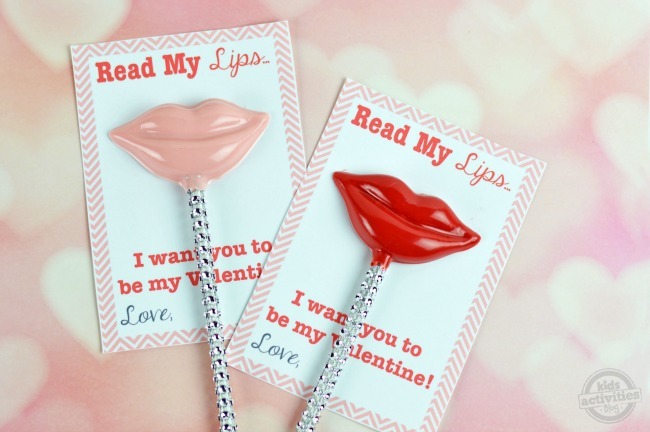 Inspired by those adorable little kisses our little one’s give us, we came up with this Read My Lips Valentine which also includes a free printable! 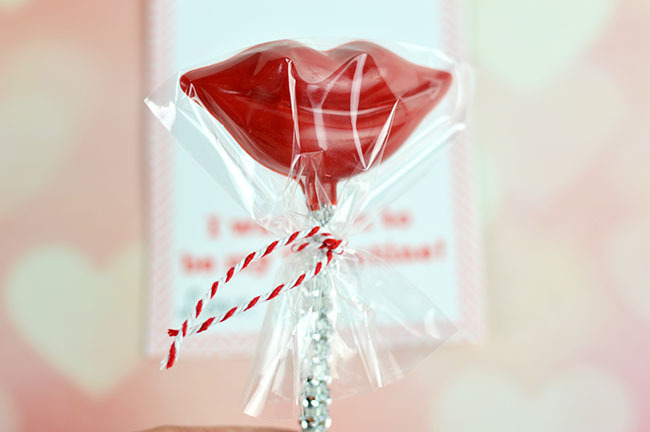 Your kids are going to adore making these for their classmates, family, and friends so read my lips and get to it! 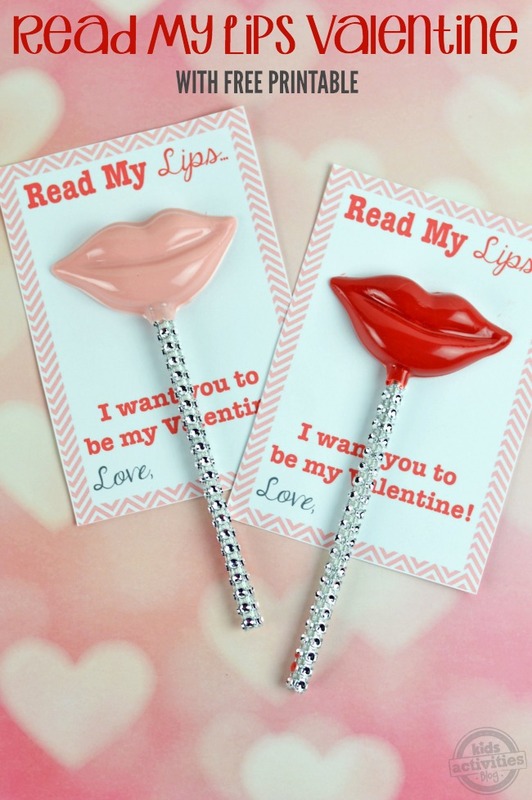 “Read My Lips” Valentine Printable – It’s FREE! 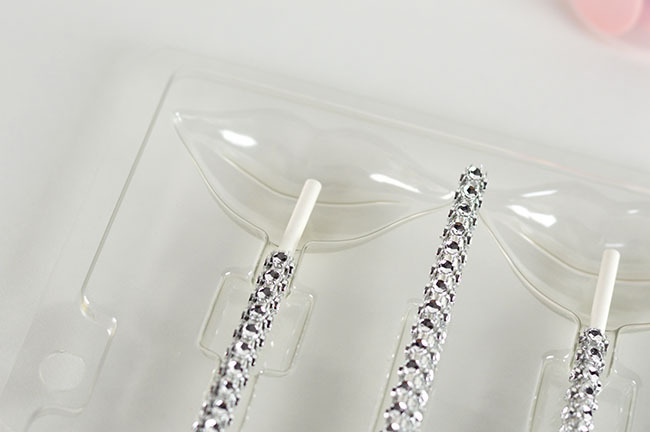 Prepare your candy mold by placing the candy sticks into the stick compartment. It’s entirely okay if the sticks are a bit too long as they will still work just fine. Fill your saucepan about half way full with hot water and bring to a boil. Fill your squeeze bottles half way with the candy melts (melt each color separately in it’s own bottle). 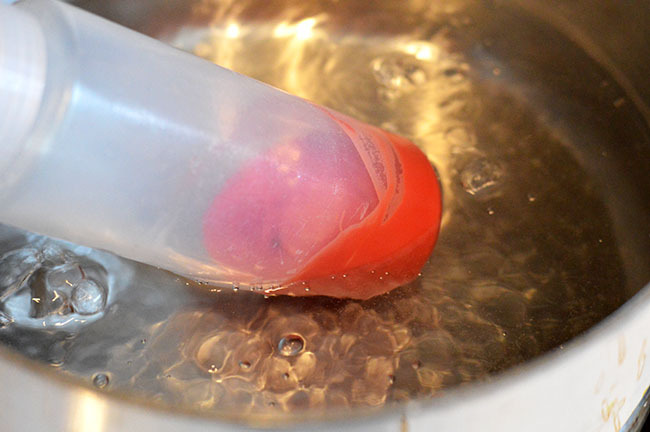 Take the first squeeze bottle and place it into the boiling water. Turn the bottle slowly until all the chocolate is melted. Note: You will want to be careful as the steam from the boiling water will be hot. If you want you can also melt the chocolates in the microwave but then spoon the melted chocolate into the squeeze bottles. This step just eliminates the extra work. Once the chocolate is melted, remove from the boiling water and allow to cool for a minute before attempting to squeeze. 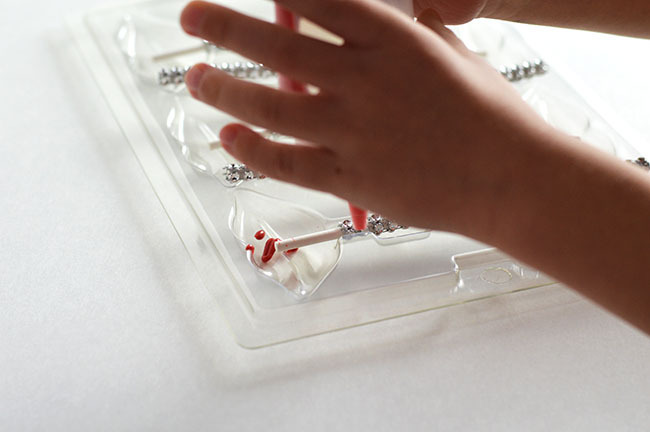 Once cooled, you can have your kiddos help squeeze the chocolate into the mold filling the cavity entirely. Repeat for the second color of candy melts. 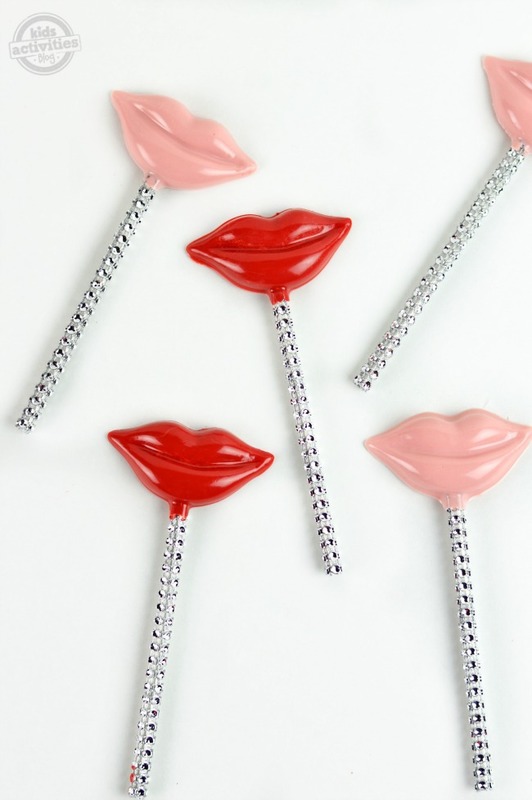 Once all of your lip cavities are filled in the mold, gently lift and tap against the counter. Doing this will give a nice smooth finish and remove any air bubbles trapped in the bottom of the mold. 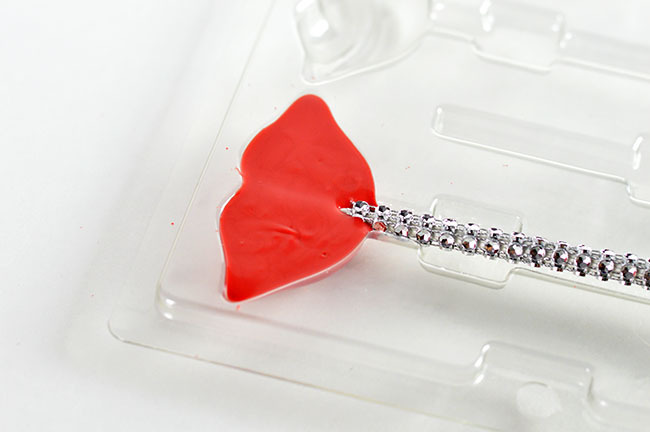 Place the entire mold in the refrigerator for about 20 minutes to allow the candy melts to harden. Once the candy melts have hardened, gently remove them from the mold. Wrap in the plastic candy bags and tie off with the baker’s twine. 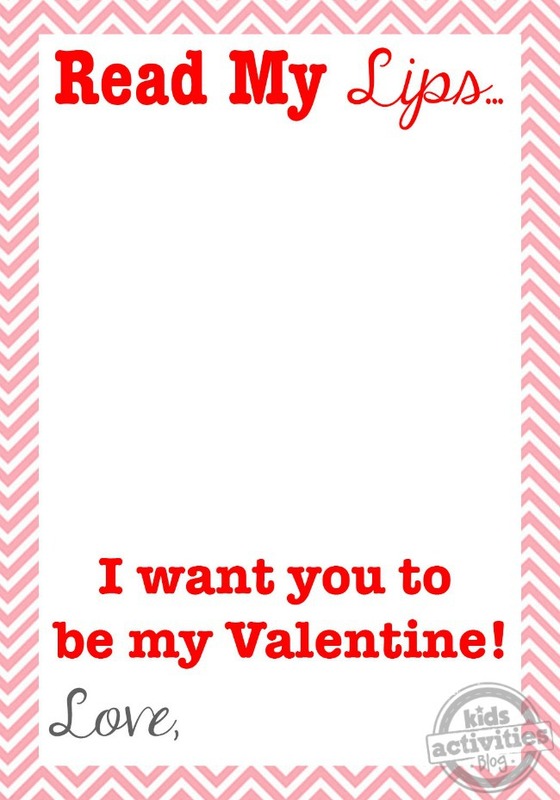 Print the Red My Lips Valentine (click the image below to download and print it). Tip: You can print 2 at a time by adjusting your settings in your printer’s menu. Tape the sucker to the Valentine printable and give to everyone you know for Valentine’s Day! Looking for another fun Valentine’s idea? 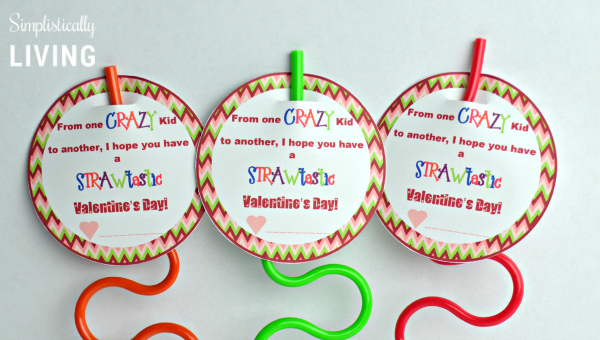 Check out this Crazy Straw Valentine for non-candy fun!